CPAP TRIAL - MediEn Malaysia, Philips Respironics Authorized Distributor in Malaysia, Philips Portable Oxygen Concentrator Machine supplier,Trilogy Ventilator,Dreamstation CPAP,BIPAP,Mask.Malaysia Oxygen,Philips Malaysia authorised service center,Oxygen Malaysia CPAP. If you have sleep apnea and want to try a CPAP machine out then we can help. CPAP trials are designed for people who have not tried CPAP before and offer a choice of masks to try with help and advice during the trial period. We will issue you with an advanced auto setting CPAP machine with humidifier and will download the information regarding your treatment during the trial to allow feedback from us to tailor the experience to achieve the best possible levels of comfort and success. 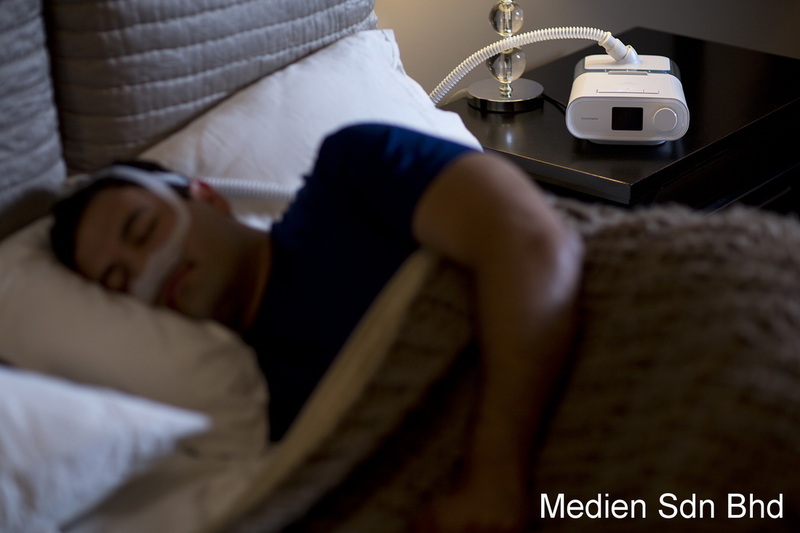 It is easy to arrange a CPAP trial with Medien Sdn Bhd. We will see you at our nearest clinic or in your own home in certain areas to set up the equipment for you. If you live in a remote area this may be available by a phone consultation followed by the equipment being sent by courier. CPAP therapy involves the use of a small quiet bedside unit that blows air gently via a small mask to keep your airway open during the night. It is a very safe and effective therapy reducing both apnea and snoring allowing a more restful sleep for you and your partner. Although the therapy may feel strange at first for most people, the benefits outweigh the inconvenience and the therapy becomes just part of a daily routine. This is using one of our advanced auto setting CPAP machine which adjust automatically to treat your snoring and apnea and help obtain a full night of restful sleep for both you and your partner. If the trial period is successful then we can offer a choice of units for rental or purchase according to your requirements and budget. Please contact us to book your CPAP machine trial.